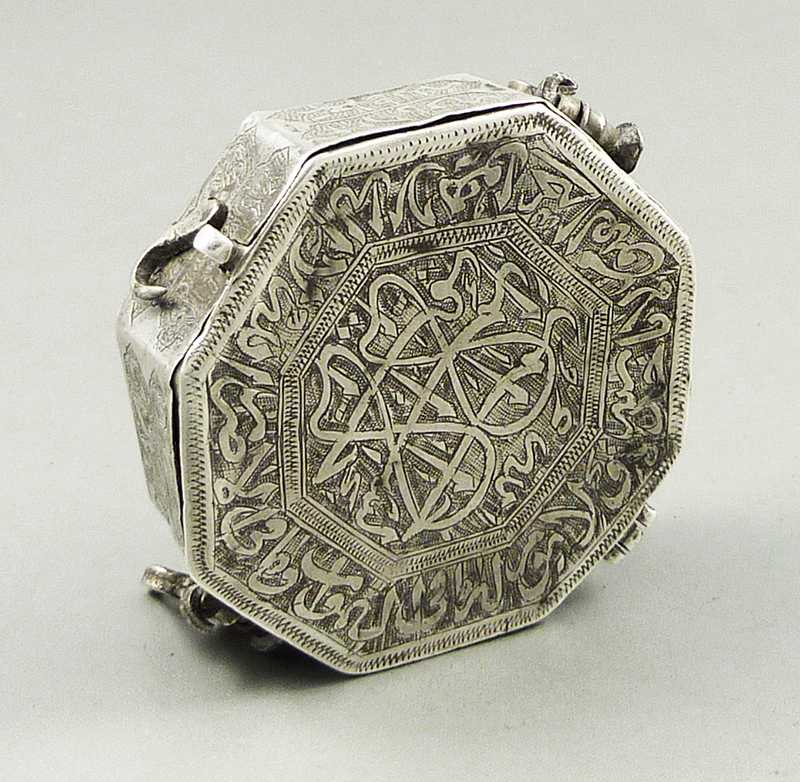 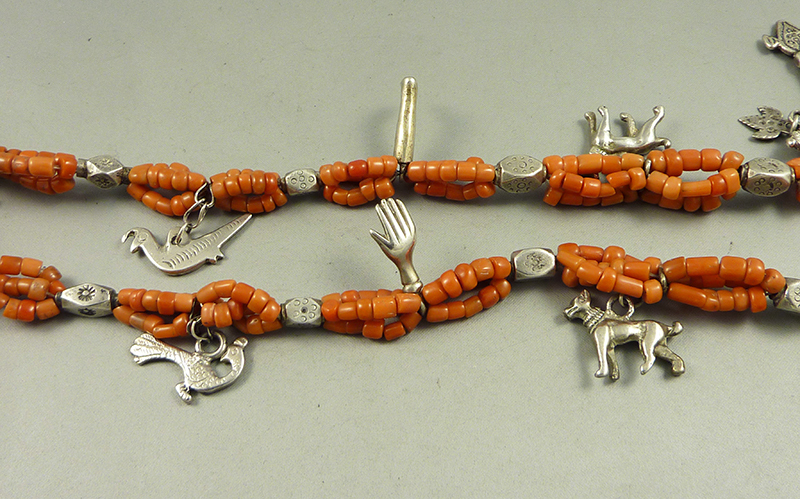 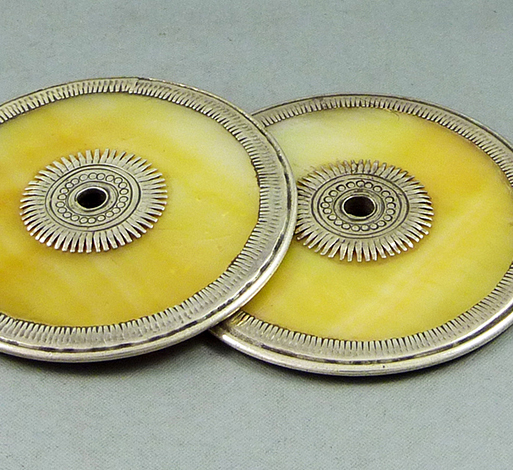 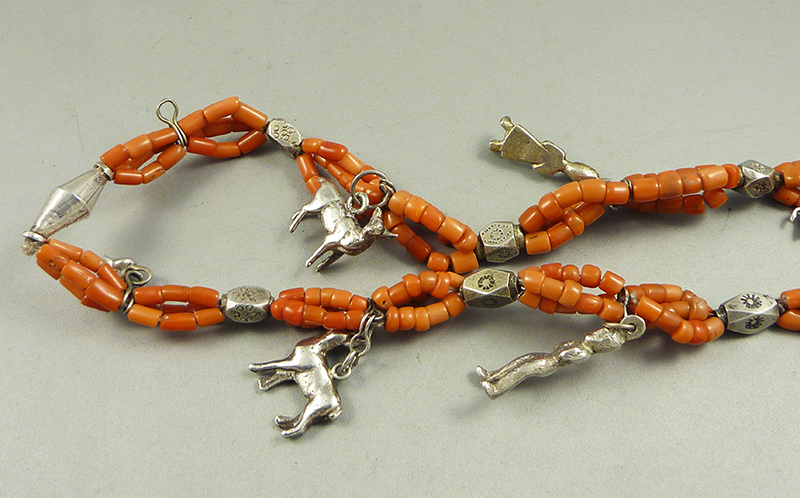 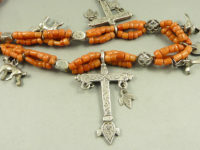 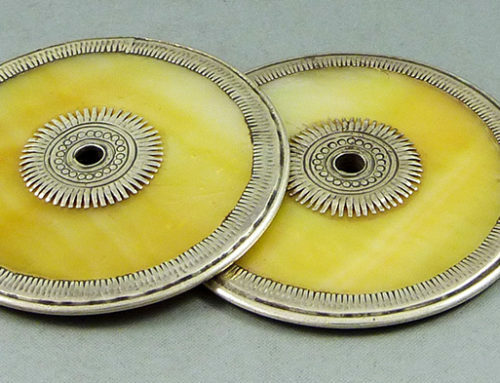 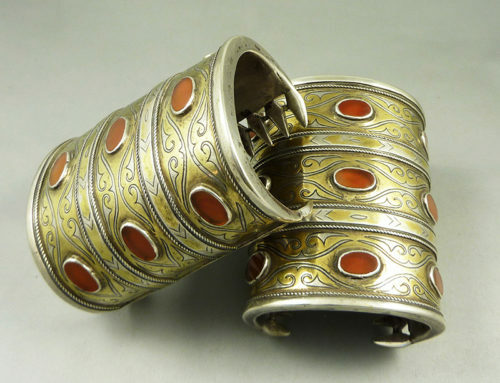 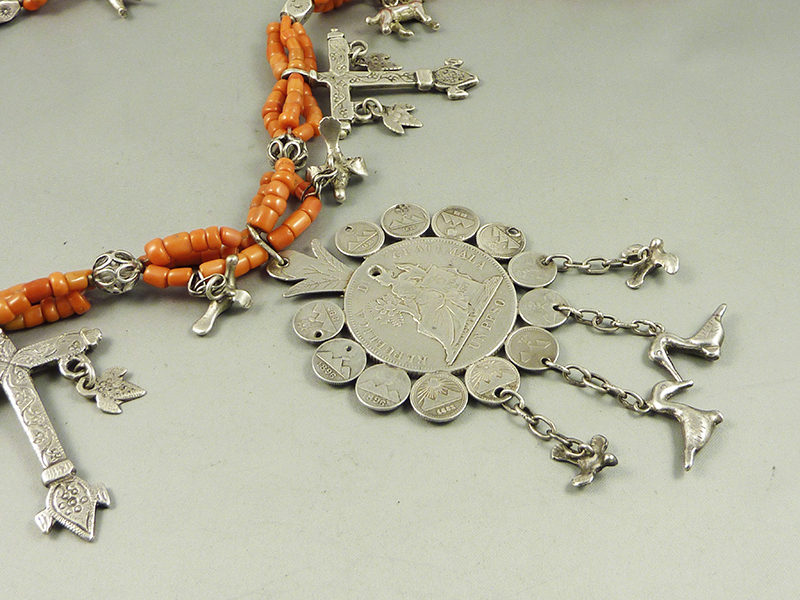 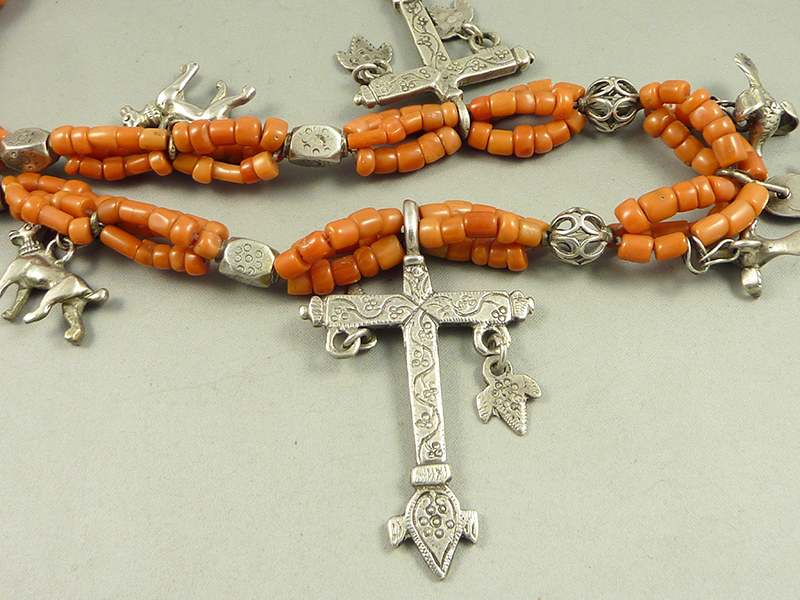 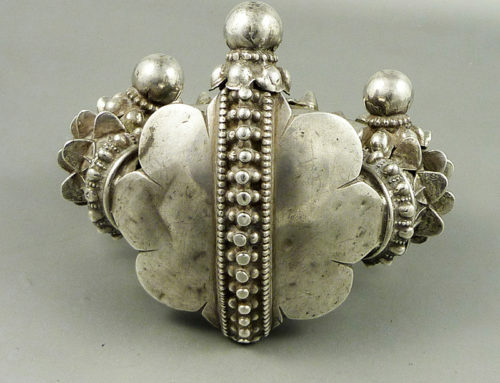 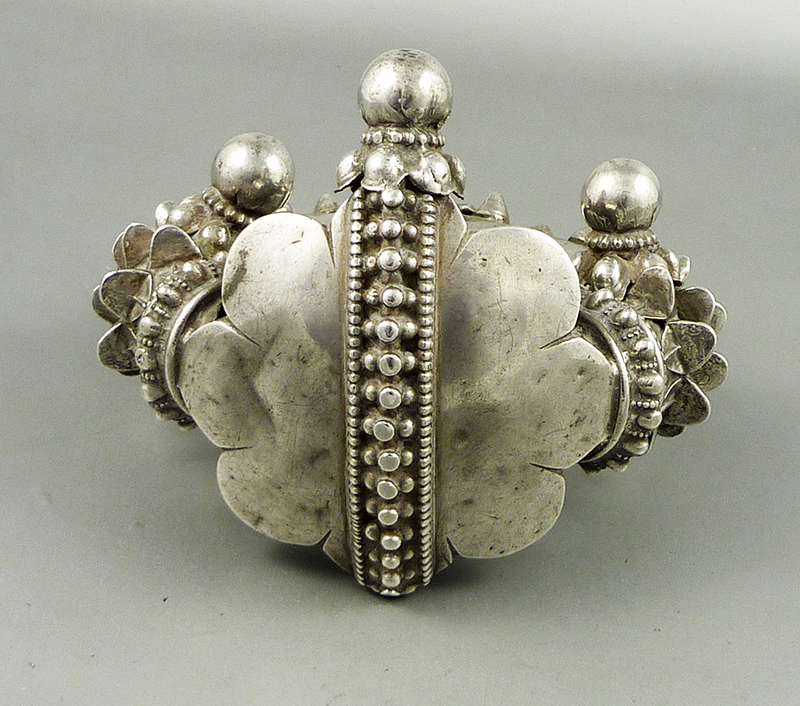 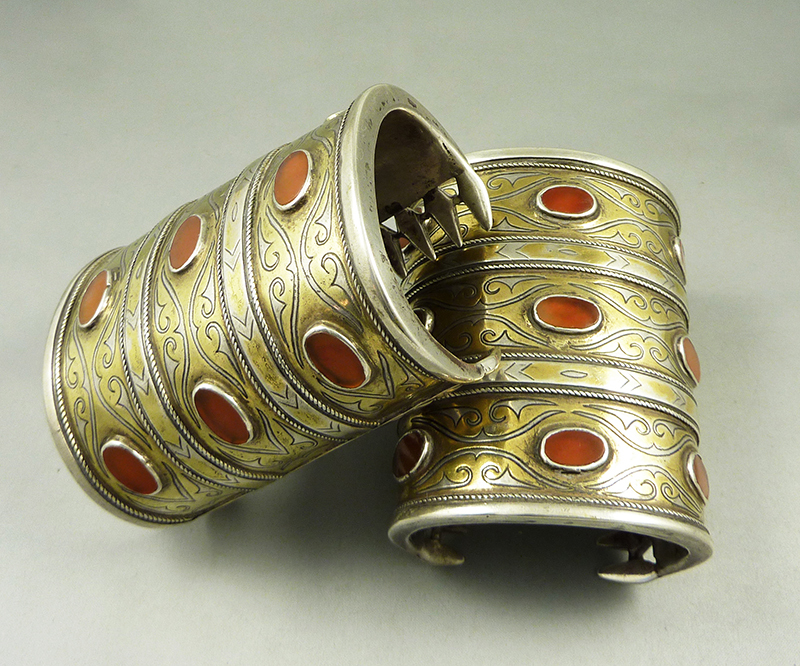 Old chachal from Guatemala made of high-grade silver coins and pendants and coral. 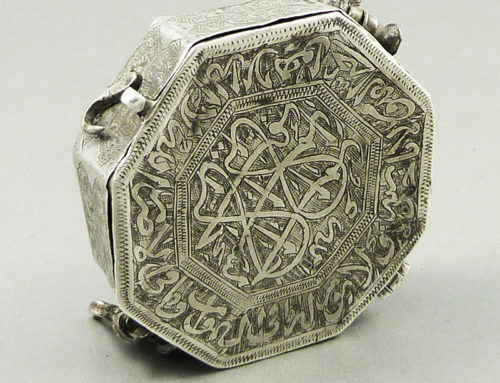 From the end of the XIXth century. 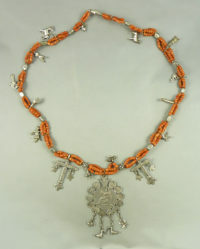 Chachal in the Quiche language means necklace. 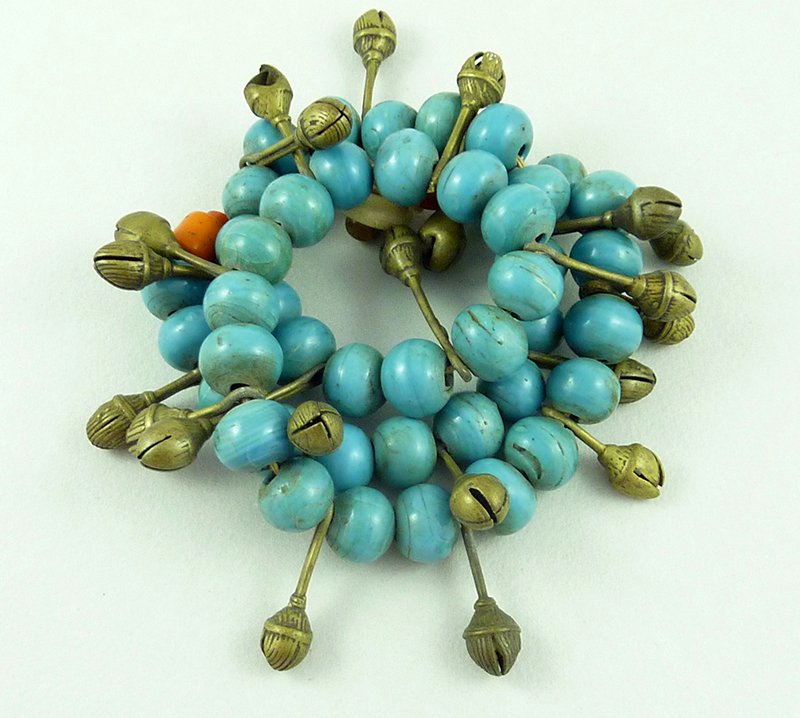 These ornaments were worn by women from many indigenous populations of Mayan origin in Guatemala. Each village adapted the chachal, using distinctive elements and symbols that distinguished it from other Mayan lineages according to the tradition (colors, types of beads, motives, types of coins or crosses). 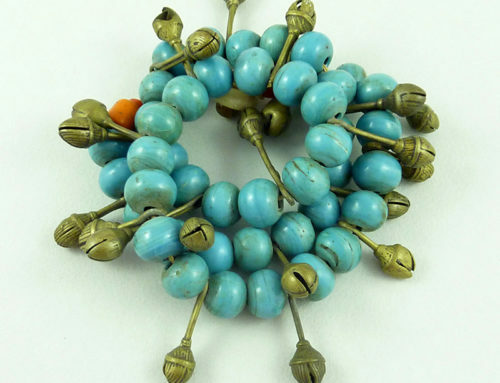 The use of chachales was in decay since 1976, after the earthquake and the civil conflict. 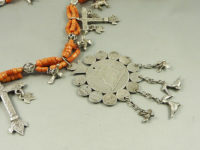 Added to this necklace are Christian crosses and votive offerings, amulets and signs of protection, which have to be worn in pairs, on each side of the chachal.